The close-up is one of the most known and recognizable techniques cinema has to offer. The name refers to every shot that focuses on a person or a object by framing it closer than it is usual. The subject of this list are the best close-ups of faces, which of all the possible uses of the close-up is the one that heightens the most any actor’s ability, as well as the power of the emotions a film scene can communicate. Here are the 30 films that made the best use of close-ups of the actor’s faces. A masterpiece of German Expressionism, The Cabinet of Doctor Caligari is considered one of the first examples of horror film. The film presents one of the earliest twist endings in cinema history, as well as original devices such as flashbacks and an unreliable narrator. Visually, Caligari is an epitome of Expressionism and is full of memorable, dark characters. 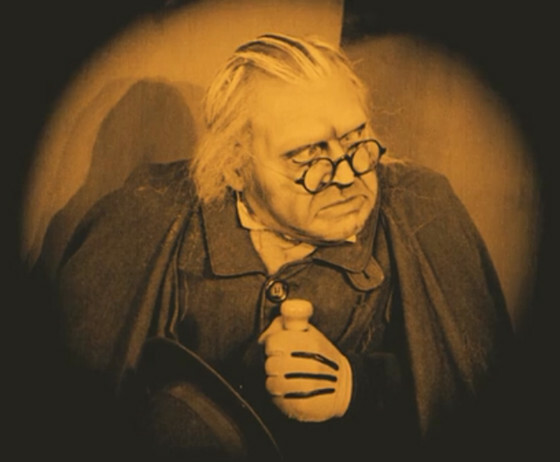 Some great close-ups frame Caligari’s frenzied expression, but the most memorable close-up of the movie is the one of Cesare’s slow awakening from his death-like state. His face must have terrified movie-goers of the time, and after nearly a century it has not lost its effect. The Blair Witch Project is not the first film that can be defined “found-footage movie” (that honor goes to Ruggero Deodato’s Cannibal Holocaust), but is certainly the one that popularized the genre and generated enough success to create a precedent for many other successful horror movies that followed its example, like the Paranormal Activity franchise. 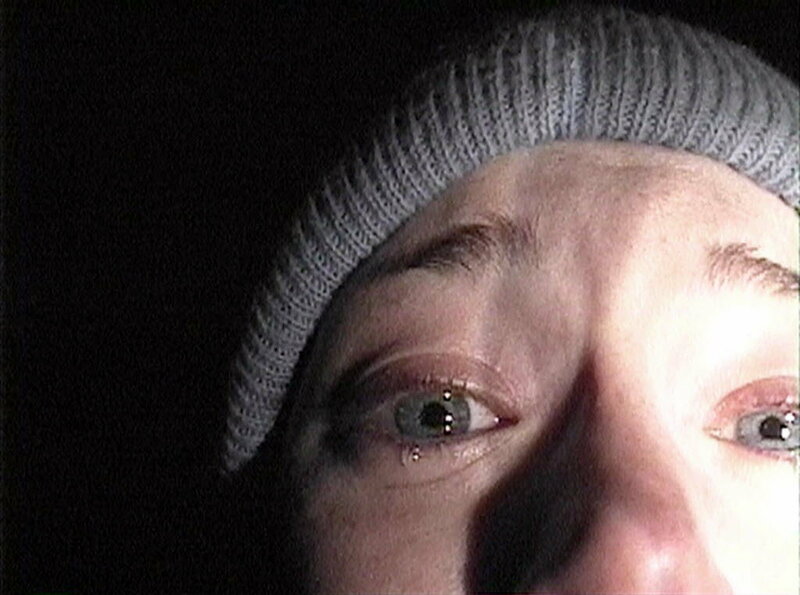 The most remembered moment of the film is the scene in which Heather Donahue’s character records herself on camera while crying and apologizing for the terrible outcome of their attempt at making a documentary about the mysterious legend of the Blair Witch. Even if it was easily criticized by some movie-goers and critics, the scene still is notable for the way it stays on the character’s face while she displays all of her emotions. There Will Be Blood, released in 2009, is one of the most acclaimed movies of the 21st century, and is likely to become a classic. Considered by many as Paul Thomas Anderson’s masterpiece, There Will Be Blood finds its greatest strengths in two elements: Robert Elswit’s impeccable photography and the unforgettable performance by Daniel Day-Lewis. 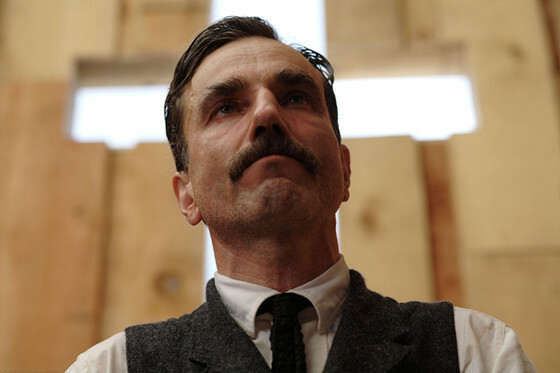 One scene after another, the actor forges Daniel Plainview as a near-perfect depiction of ruthlessness and ambition, an embodiment of the American taste for wealth and power. A pivotal moment in the film is the church scene: Paul Dano’s character, a young fundamentalist preacher, forces Plainview to kneel down and make amends for his sins, supposedly liberating him of the devil. Day-Lewis’s furious and over-excited expression is framed in a memorable close-up. The Royal Tenenbaums was Wes Anderson’s first real mainstream success, and remains one of his most beloved and appreciated works. The movie defines the tropes of Anderson’s style, like his slow-motion sequences and his quirky attitude towards love and familiar relations. The film also features his most explicitly dramatic scene to date, the suicide attempt by Richie Tenenbaum. He stands in front of a mirror, framed in a close-up, and cuts his hair and beard. After some quick cuts to Richie’s memories, the camera suddenly cuts to a shot of his wrists losing blood. 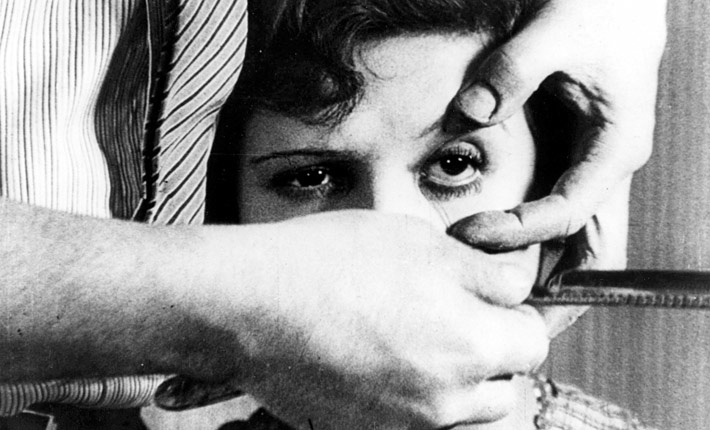 Luis Buñuel, the master of surrealistic cinema, famously made his debut with a short film he co-wrote with Salvador Dalí, Un Chien Andalou (An Andalusian Dog). The film was originally conceived from images Dalí and Buñuel had seen in their dreams; different ideas for the short were then developed, excluding on purpose any image that could have a rational explanation, or be interpreted with a symbolic meaning. One of the most famous images of the film is a close up of a woman’s face held by a man holding a razor. Then, a cloud is seen passing in front of the moon in the same way the razor, in the following shot, cuts the woman’s eye. It is an extremely iconic moment and a pivotal moment in the history of early cinema and surrealism as well. Metropolis by Fritz Lang is one of the greatest futuristic movies of all time, and an extremely ambitious oeuvre whose original version is still object of restoration, with many versions produced from different film stock. 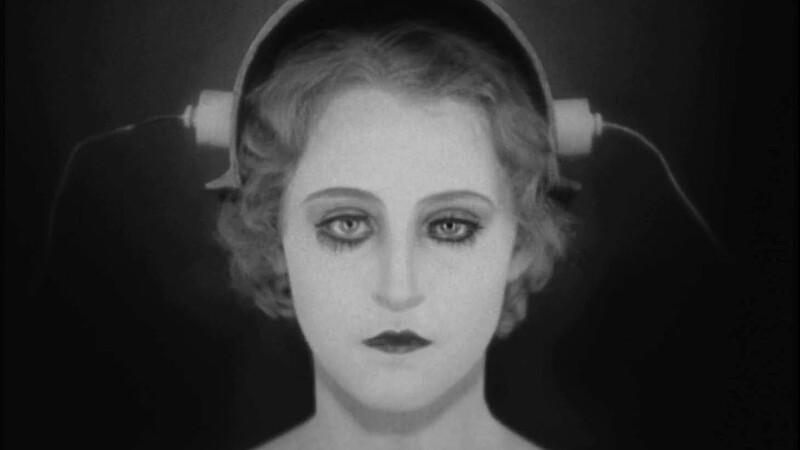 A great close-up from the film is the one showing the face of the robot (the Maschinenmensch) which is the most remembered image from the film. In the scene, the robot is given the appearance of Maria, a worker chosen by the scientist Rotwang. 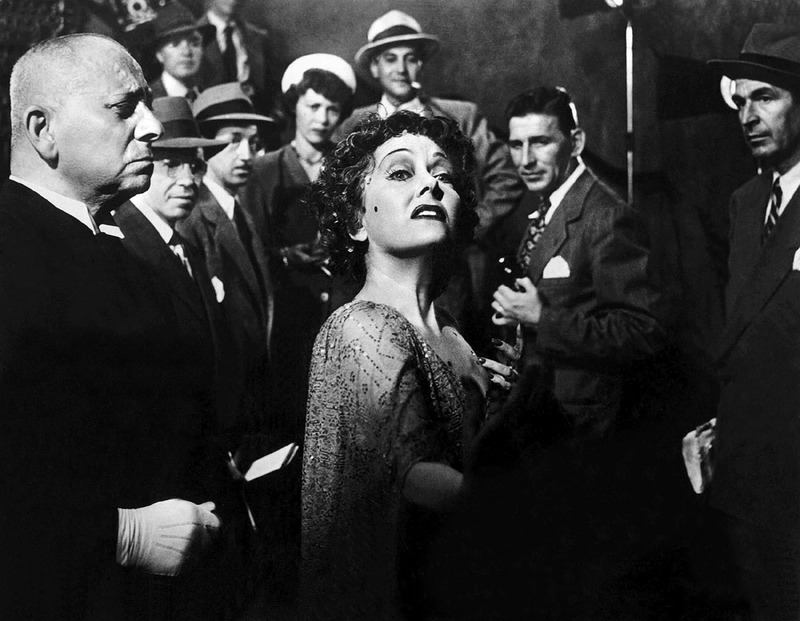 When it comes to close-ups, many iconic shots come to mind, as well as a particular line about this film technique, and that line is of course “I’m ready for my close-up, Mr. DeMille”, spoken by Norma Desmond (played by Gloria Swanson). Just after saying the line, Norma gets closer to the camera, almost breaking the fourth wall, and just when the shot should frame Norma’s close-up, it gradually goes out of focus, ending the sequence. A memorable moment from a tale about Hollywood’s vanity. The first two entries of the Godfather Trilogy are masterworks of the cinematic art, and are built around some of the strongest performances ever delivered to the big screen. Some of the best acting moments of the films are delivered through close-ups of the main characters; the toughness we see in their expressions is a result of their criminal life, but they always remain somewhat relatable. 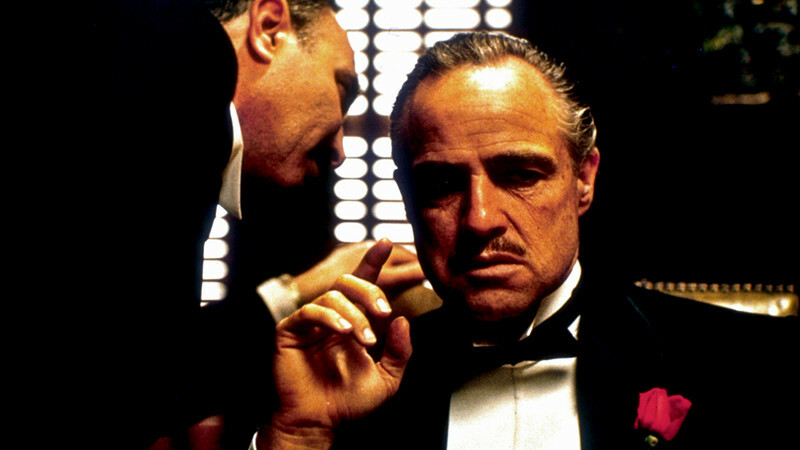 The first scene of the first movie reveals Marlon Brando’s imposing Vito Corleone and his glacial face through a close up, but the actor that most shines through the films’ close-ups is Al Pacino, whose evolution from reluctant son of the boss to godfather is the true emotional center of the films. A year after the massive success of Birdman, Alejandro González Iñárritu released The Revenant, a film with an equal, if not bigger, amount of cinematic ambition and audacity. Both films had Emanuel Lubezki as their director of photography, who mainly shot the Revenant in natural light. The film also stood out for the performances by Leonardo di Caprio and Tom Hardy, its depiction of natural settings and the spectacularity of many sequences. The story follows Hugh Glass’ journey for survival and revenge towards John Fitzgerald, the killer of his son. 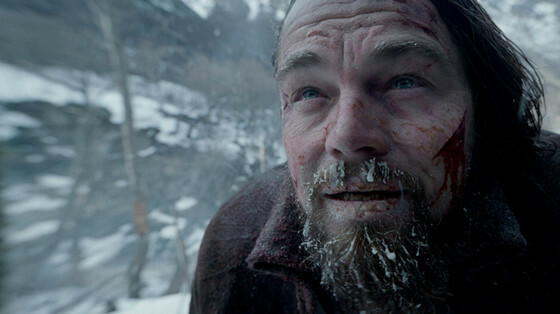 After two hours of gruesome struggles through an hostile land, Glass and Fitzgerald finally have a showdown, after which Iñárritu inserted a close-up of di Caprio’s character; Hugh Glass’ gaze breaks the fourth wall, and opens a window into the soul of the man we have followed up until that moment. The first half of Stanley Kubrick’s Full Metal Jacket is famously dedicated to the training that the soldiers receive from the abusive Sergeant Hartman. 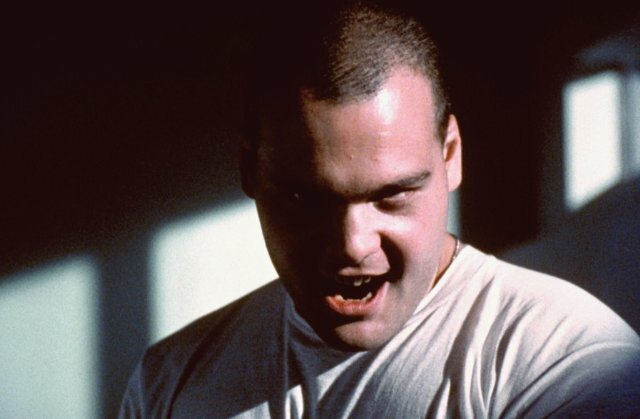 The main victim of this training is soldier Lawrence, nicknamed Pyle, who slowly descends into madness, until the resolution that closes the first section of the movie. Having succumbed to the hateful environment of the military, Pyle holds his rifle and shoots the Sergeant before killing himself. This moment is extremely disturbing, partially due to the “Kubrick stare” shot of Pyle, a chilling close-up of his crazed expression.